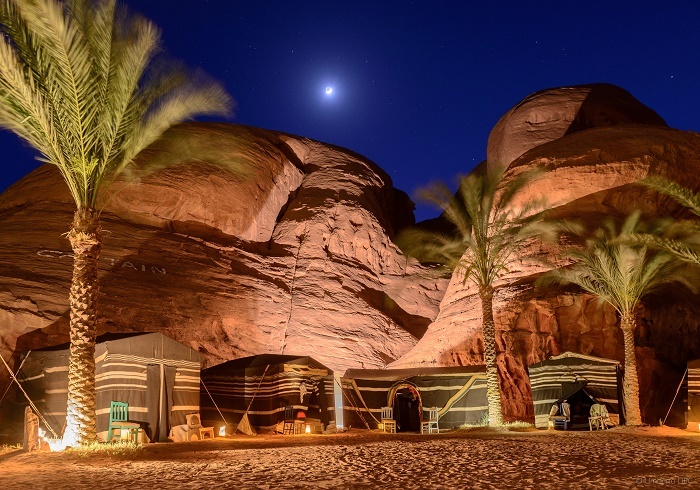 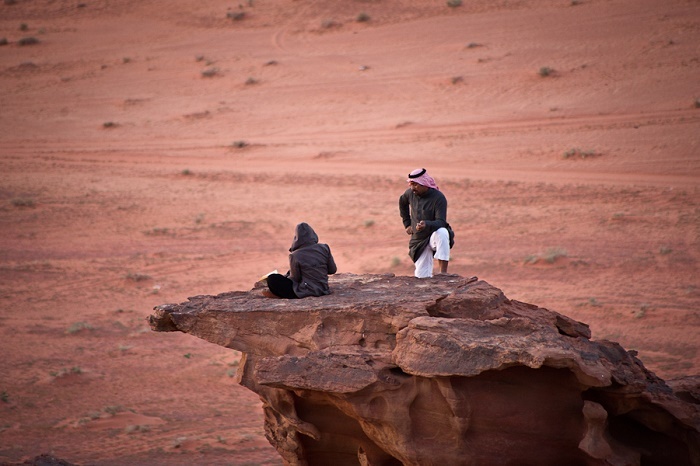 Wadi Rum, also known as The Valley Of The Moon, is a valley cut into the sandstone and granite rock that is located in the southern part of the Hashemite Kingdom of Jordan, close to the border with Saudi Arabia. 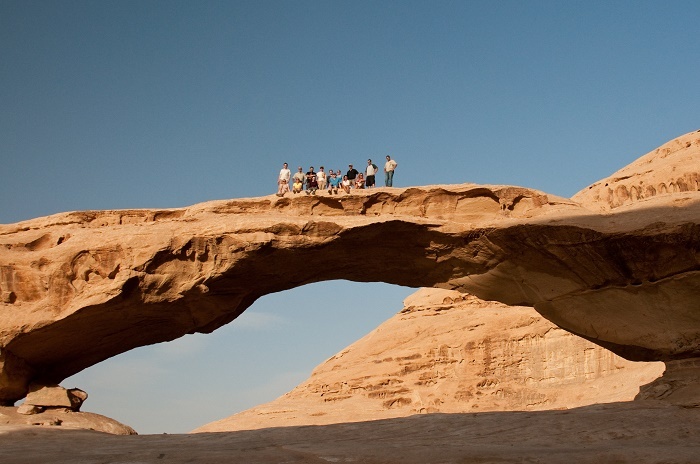 Located more precisely east of the Rift Valley and south of the steep escarpment of the central Jordanian plateau, it has a total area of 720 square km (278 square mi) and also include desert land forms developed within continental sandstone. 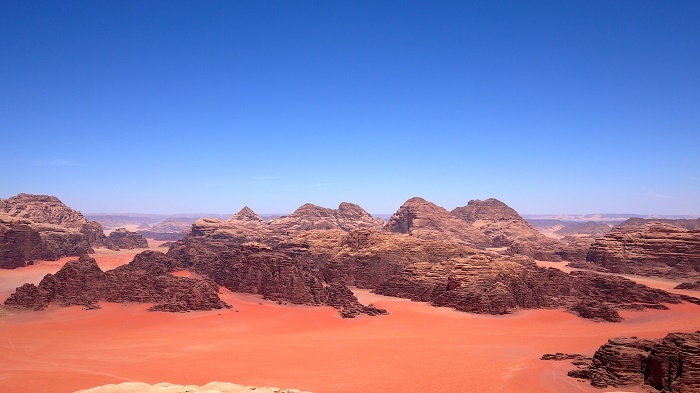 These land forms have been developed under the influence of a combination of various controlling factors, such as lithology, tectonic activities and surface processes showing the ongoing landscape evolution throughout the years. 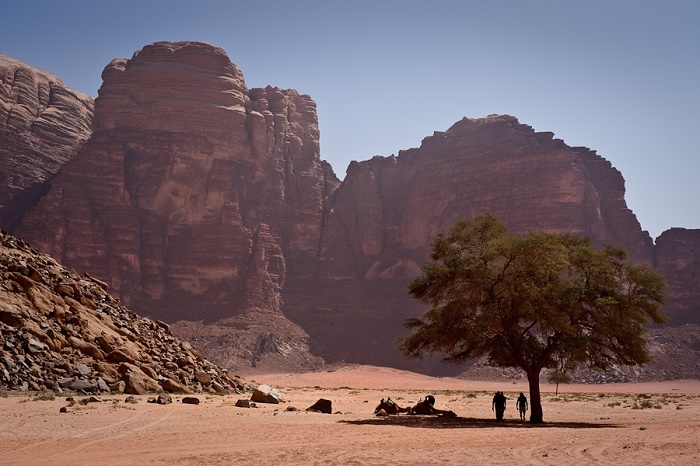 As this is the former stomping ground of ancient caravans and, though they are long gone, the marks they left on Wadi Rum’s rocks remain, where one would notice the Aramaic characters which are believed to be the language of Christ, as well as crude pictures of camels and the men who rode them. 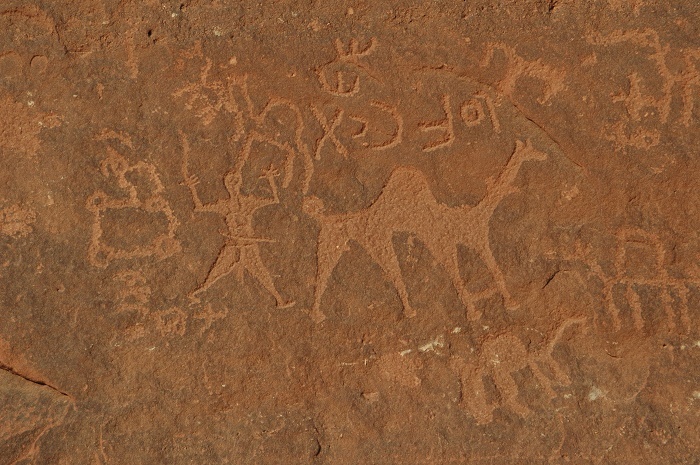 As a matter in fact, the widespread petroglyphs, inscriptions and archaeological remains testify to 12,000 years of human occupation and interaction with the natural environment, illustrating the evolution of pastoral, agricultural and urban human activity in the Arabian Peninsula and the environmental history of the region. 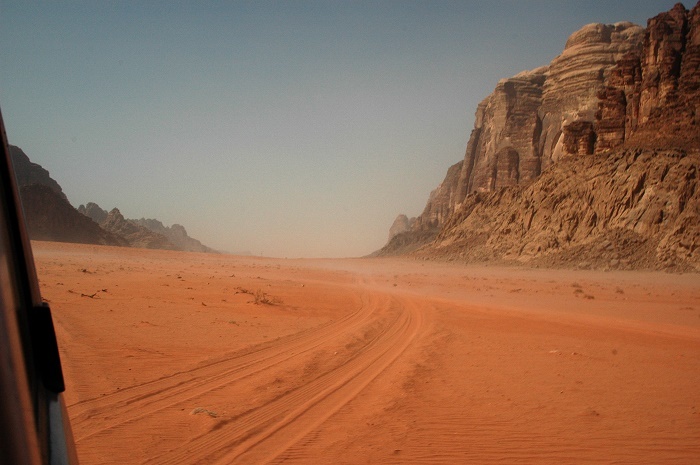 Due to the vastness it has, there are many places that deserve to be mentioned, such as: Lawrence’s house where nobody is certain that this was the Lawrence’s house, although there are stories that tell that he stored weapons in it, Lawrence’s Spring, the Nabataean Temple which is covered in Thamudic and Kufic rock art, the Jebel Burdah (Big Rock Bridge/Arch) and the Jebel Umm Fruth (Middle Rock Bridge/Arch) excellent for hiking, the Seven Pillars of Wisdom which are rock formation, as well as Khaz’ali Canyon (Siq al-Khazali) which is a narrow canyon that contains numerous Nabataean rock carvings of people and animals. 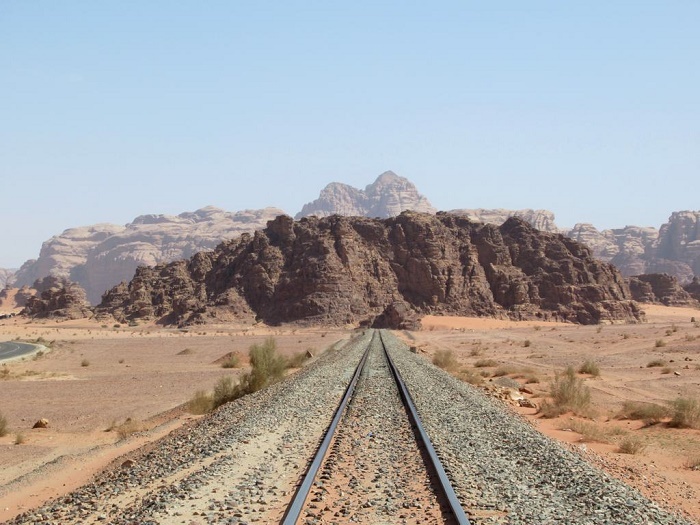 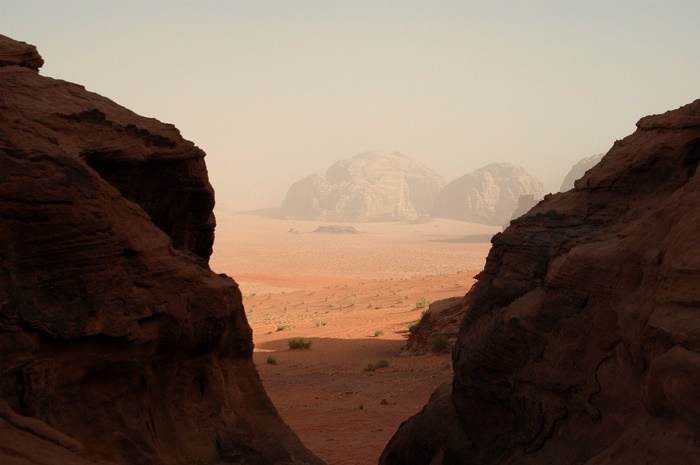 Because of that, today the Wadi Rum is known as Wadi Rum Protected Area, which is an UNESCO World Heritage Site, inscribed on the list in 2011. 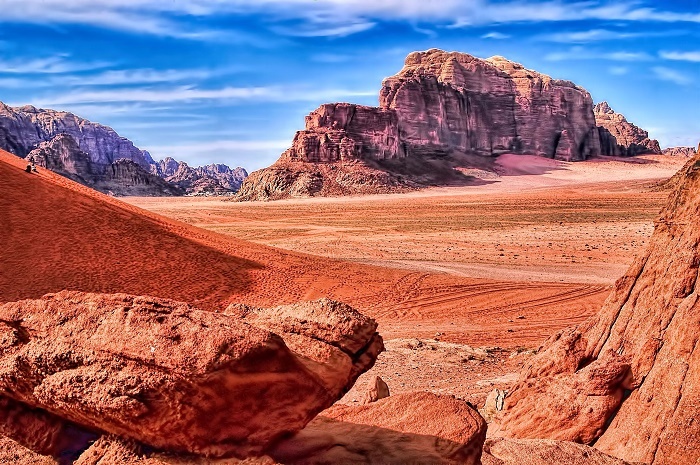 Wadi Rum definitely is one of the most beautiful places and also the most visited one in the Kingdom, where people would see how the life for the historic British author, archaeologist, officer and diplomat, T. E. Lawrence, also known as Lawrence of Arabia has been while he was in the area.